SACRAMENTO, Calif. -- The chief executive of a website that authorities have dubbed an "online brothel" is pleading guilty to California money-laundering charges and agreeing to cooperate in prosecuting the site's creators. He's pleading guilty to one count of conspiracy and three counts of money laundering. He's also agreeing to cooperate in the ongoing prosecution of Backpage.com founders Michael Lacey, and James Larkin. The founders were among those indicted this month by a federal grand jury in Arizona. Ferrer was noticeably absent from the indictment. California Attorney General Xavier Becerra says Ferrer is also agreeing to make the company's data available to law enforcement. 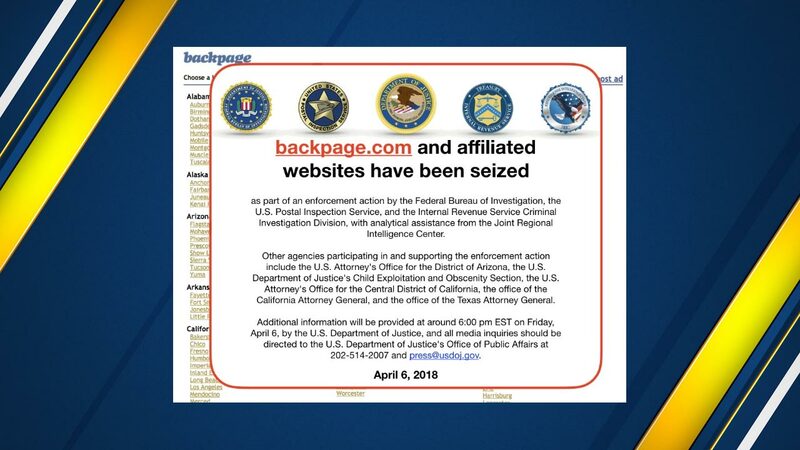 The U.S. Justice Department shut down Backpage last week.